MIAMI – Regent Seven Seas Cruises, the only North American luxury cruise line to be granted permission to offer voyages to Cuba, is adding more visits to the Caribbean island on two itineraries in 2019 and 2020. Seven Seas Mariner will offer the line’s first immersive Cuba itinerary on her October 15, 2019 voyage, calling on Havana, Cienfuegos and Santiago de Cuba, providing guests more opportunities to engage in group, people-to-people activities intended to enhance contact with the Cuban people, and to immerse in the island’s culture. Havana is also being added into Seven Seas Navigator’s April 25, 2020 voyage. As part of Regent Seven Seas Cruises’ most-inclusive luxury experience, guests have the widest selection of free and unlimited, expertly crafted Cuba shore excursions in compliance with the Office of Foreign Assets Control’s (OFAC) regulations. Guests can meet with the people of Cuba and explore the island’s music, art, history and culture while enjoying as many shore excursions as their time allows. In Havana, guests can walk in the storied steps of Ernest Hemingway and learn about the city’s Baroque, neoclassical and Renaissance architecture. From Cienfuegos, guests can visit Valle de los Ingenios (Valley of the Sugar Mills) and Trinidad, both deemed World Heritage sites for their well-preserved, Colonial-era architecture, and learn about traditional pottery methods at a family-owned workshop along the way. Santiago de Cuba will offer even greater context to events that changed the course of Cuban history, where guests can visit San Juan Hill and learn about the 18th century battle which led to the end of Spanish rule. Seven Seas Mariner made Regent’s maiden call on Havana in April 2017. Travelers can choose among eight future itineraries that offer guests an opportunity to visit Cuba. Seven Seas Mariner’s October 10, 2018 voyage, will call again on Havana on its trans-Panama Canal voyage to the South Pacific, while the ship’s new October 15, 2019 voyage will offer three Cuban ports. Caribbean itineraries that also visit Havana are Seven Seas Navigator’s November 11, 2018 and April 25, 2020 voyages; and Seven Seas Voyager’s December 6 and 16, 2018, February 6, and March 5, 2019 voyages. Regent Seven Seas Cruises offers one the world’s most inclusive luxury experiences with a four-ship fleet that visits more than 450 destinations around the world. Seven Seas Mariner’s upcoming 2018 drydock refurbishment will conclude Regent Seven Seas Cruises’ $125 million refurbishment program to elevate the elegance of the whole fleet to the standard set by Seven Seas Explorer. In early 2020, Regent will launch Seven Seas Splendor. The cruise line’s fares include all-suite accommodations, round-trip business-class air on intercontinental flights from U.S. and Canada, the largest collection of free, unlimited shore excursions, unlimited internet access, highly personalized service, exquisite cuisine, fine wines and spirits, prepaid gratuities, ground transfers and one-night, pre-cruise hotel package for guests staying in Concierge-level suites and higher. For more information about the world’s most inclusive luxury experience, or to make a reservation, contact a professional travel agent, visit www.RSSC.com, or call 1-844-4REGENT (1-844-473-4368). For those for whom one luxury cruise just isn’t enough, Crystal Cruises is offering incredible new discounts of up to 25% off the best cruise-only fares for combining select 2013 and 2014 voyages. 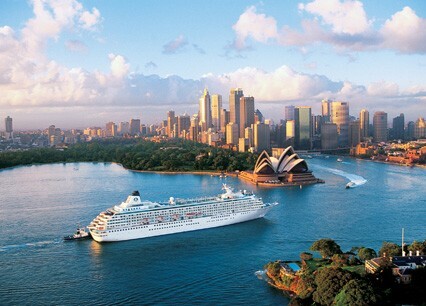 The new Explorer Combinations promotion boasts savings of up to $12,200/person for travelers who combine two to three of the Crystal Serenity Mediterranean cruises back-to-back. Itineraries feature calls in Dubrovnik, Sicily, Montenegro, Malta, Mykonos, St-Tropez and more, with overnight stays in Venice, Monte Carlo, Lisbon, Istanbul, Barcelona and Sorrento. All fares are per person, and must be booked by June 28, 2013. Individual cruises and Crystal Getaways offer luxury vacations starting from just five days in length in the Mediterranean, as well as the Baltic, North Cape, Western Europe, British Isles, and Black Sea. Crystal also offers 5% savings for all other back-to-back cruises. Crystal Cruises’ award-winning “World’s Best” ocean resort experience always includes a host of complimentary amenities, from enlightening enrichment speakers and fitness classes to pampering pillow menus and specialty restaurant dining, featuring the cuisine of Nobu Matsuhisa and all-inclusive beverages and gratuities.